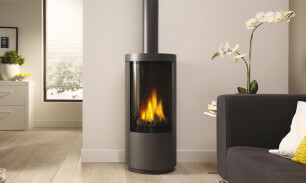 An elegant freestanding gas stove with desirable curves. 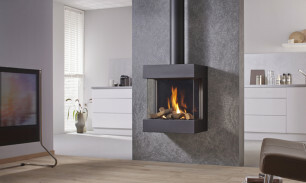 A 3-sided wall-mounted gas fire in a glass box that is quick and easy to install. 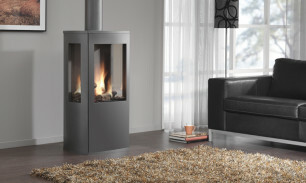 An elegant contemporary gas stove for rural or urban lifestyles.